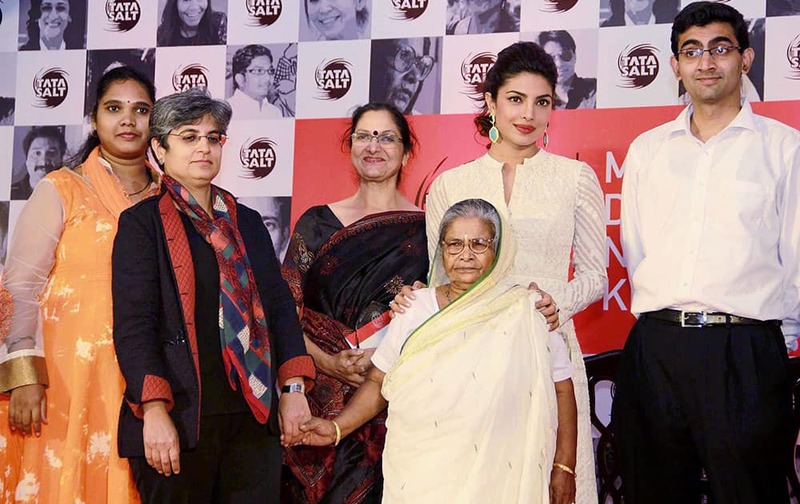 Bollywood actress Priyanka Chopra, Richa Arora, COO-Consumer Products Business, Tata Chemicals, with awardee social workers Subhashini Mistry and others during a promotional event of Tata Salt-Maine Desh Ka Namak Khaya Hai campaign in Mumbai. Actress Keira Knightley arrives in a wind storm to the premiere of `Laggies` at Roy Thomson Hall during the Toronto International Film Festival. Jess Weixler, from left, Ned Benson, James McAvoy and Jessica Chastain attend a screening of The Weinstein Company's `The Disappearance Of Eleanor Rigby` hosted by Prada and The Cinema Society in New York. 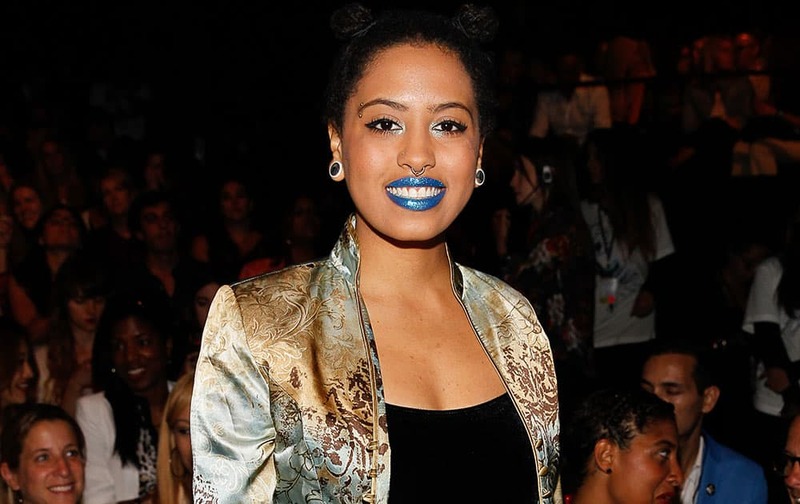 Chiara de Blasio, daughter of New York Mayor Bill de Blasio poses at the MBFW Spring/Summer 2015 - Anna Sui at Lincoln Center in New York. .
Camille Grammer, formerly of `The Real Housewives of Beverly Hills,` models an outfit from the Betsey Johnson Spring 2015 collection during Fashion Week, in New York.